Advance Heating and Cooling are proficient in customising climate control needs for a range of commercial projects in the inner western suburbs of Melbourne. 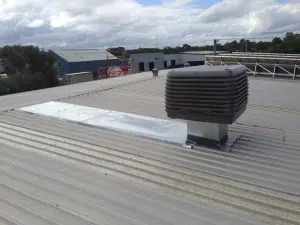 We have provided commercial heating and cooling services around suburbs such as Sunshine, Tottenham, Maidstone, Brooklyn, Braybrook, and elsewhere for over two decades and continue to be innovative with new products and first class work. Our team can manage everything from the initial planning stages right through to coordinating the installation process and completing the project. Our commercial heating and cooling services can be scaled to accommodate your industrial requirements. Whether you are looking to outfit every level of a building complex or need upgrade a retail store’s air conditioning system, we have the experience, the resources, and the equipment to complete the job efficiently. If you would like to learn more about our technical capabilities and the air conditioning options that are available, request a quote today. There are many different brands of air conditioning systems available, and Advanced Heating and Cooling are across the board with all of them. Our qualified technicians have many years of hands-on experience in installing, servicing, and repairing all leading brands of heating and cooling systems at an affordable price. Regardless of the make and model of your cooling or heating system, we will deliver quality service to ensure that your workplace remains productive. Maintenance is vital when it comes to commercial heating and cooling systems. Advance Heating and Cooling provide maintenance services for our commercial clients. Air conditioning systems can experience technical issues, such as losing its power and efficiency, or even breaking down, meaning that it is imperative that your systems are inspected and serviced to prevent such issues from occurring. In fact, having your system being regularly serviced can help it have a much longer lifespan. Our technicians understand the importance of both the safety of your employees and ensuring that minimal productivity is lost due to a faulty air conditioner. Having a faulty heating and cooling system can cause a decrease in productivity as your employees may be affected, or at least distracted, by a poor air quality at the workplace. Our quick services will ensure that your workplace is up and running again at its normal pace in no time. Our sales staff are qualified, knowledgeable and provide excellent customer service. Advance Heating and Cooling installers are all registered and licensed plumbers with relevant experience in commercial developments. Contact us today by calling (03) 9310 1990 to learn more about commercial tenders and how we can coordinate your major projects.